This cold winter weather we’ve been having in Toronto can be super harsh on my sensitive skin. I have rosacea so my skin is frequently irritated by various factors. That’s why I try to use skincare products that have natural ingredients and/or are made for sensitive skin. I had heard a lot about the skincare brand Dermalogica before, but had never tried any of their products. 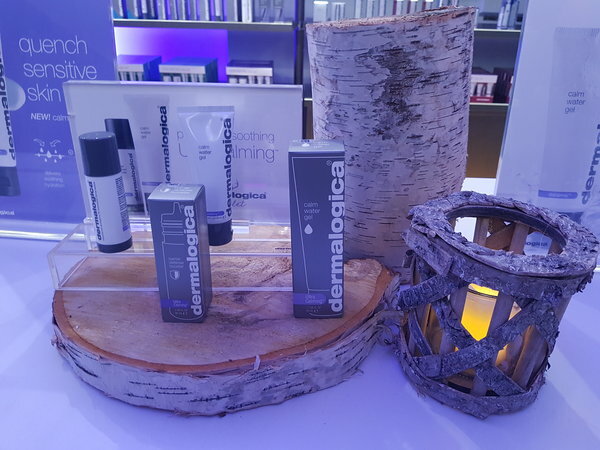 I was delighted to be invited to the Dermalogica Chalet at 639 Queen Street West on January 17, 2018 to try out their new UltraCalming Products. 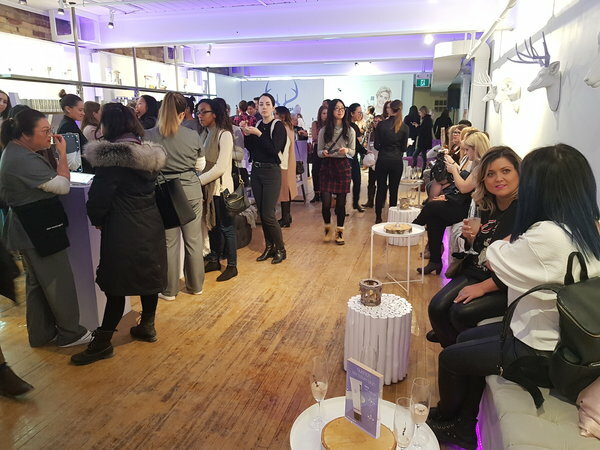 We were treated to hors d’oeuvres from Daniel et Daniel Catering and champagne while we learned more about Dermalogica products including their two new UltraCalming products: Calm Water Gel and Barrier Defense Booster. I spoke to a Dermalogica skin consultant to receive a Face Mapping, which revealed the condition of different parts of my face and which Dermalogica products were the most effective to use on my face. 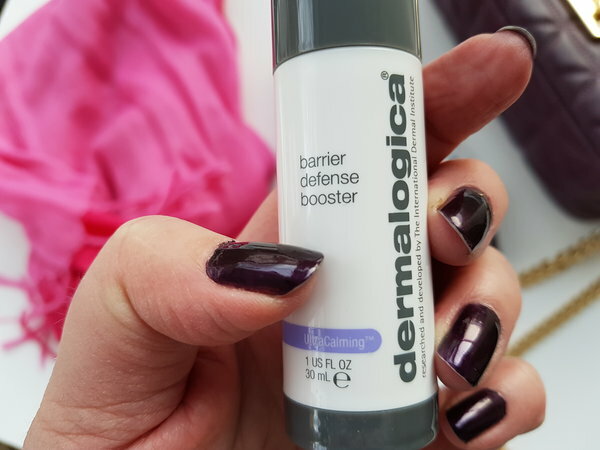 Dermalogica’s Barrier Defense Booster, $101 (30 ml), soothes and nourishes your skin and restores its balance. 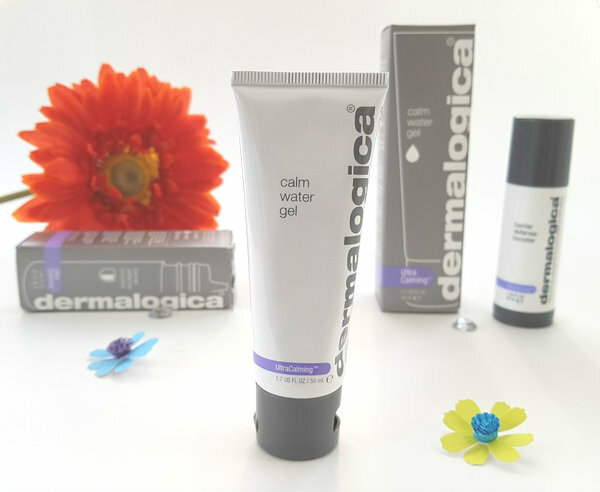 The Calm Water Gel, $65 (50 ml), is a light, cooling gel that offers maximum hydration. Both are ideal for sensitive skin…yay! You can wear these two products together or separately. 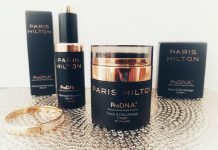 I got a chance to experience both of these products during a ProSkin 30 minute facial, which was offered by Dermatologist aestheticians on site. My aesthetician examined my skin and noted that it was sensitive in my cheek areas and dehydrated on my forehead and chin. She cleansed my skin with Dermalogica’s Pre-Cleanse and UltraCalming Cleanser. 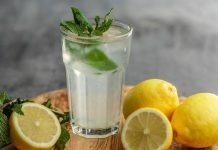 I asked why it was necessary to cleanse twice and my aesthetician advised me that cleansing your face once usually removes only about 50% of bacteria so it’s necessary to cleanse twice. She told me that I wasn’t exfoliating my skin enough because it felt rough and she applied Dermalogica’s Daily Microfoliant, which contains acid to remove dead skin cells. She then applied the Calm Water Gel and Barrier Defense Booster to my skin. My face felt amazing after the facial – incredibly hydrated and smooth. 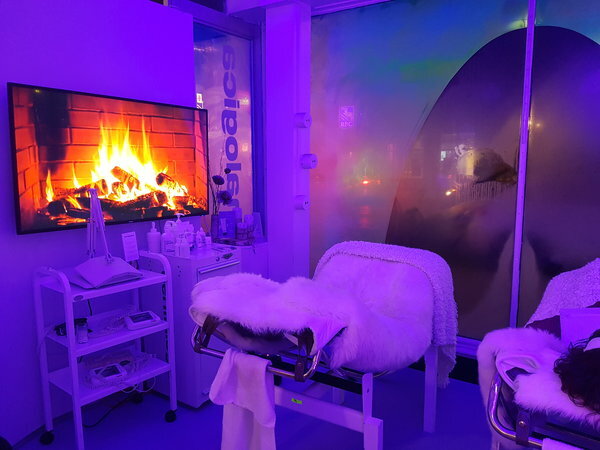 Guests received facials from Dermalogica aestheticians at Dermalogica Chalet. Dermalogica was developed by Jane Wurwand for The International Dermal Institute in 1986. The brand’s products exclude common skin irritants including SD alcohol, lanolin, mineral oil and artificial colours and fragrances. I haven’t pampered my skin in a long time. 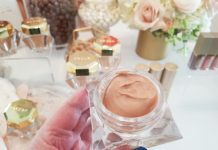 These products might just be the answer to my long skincare drought! This product looks like it works well and is great for skin care. I would love to try Dermalogica products. My skin needs a boost. This cold winter weather has been so hard on it. Impressive looking products I am sure many people will enjoy using. This should be recommended to anyone who needs it to help with skin care.